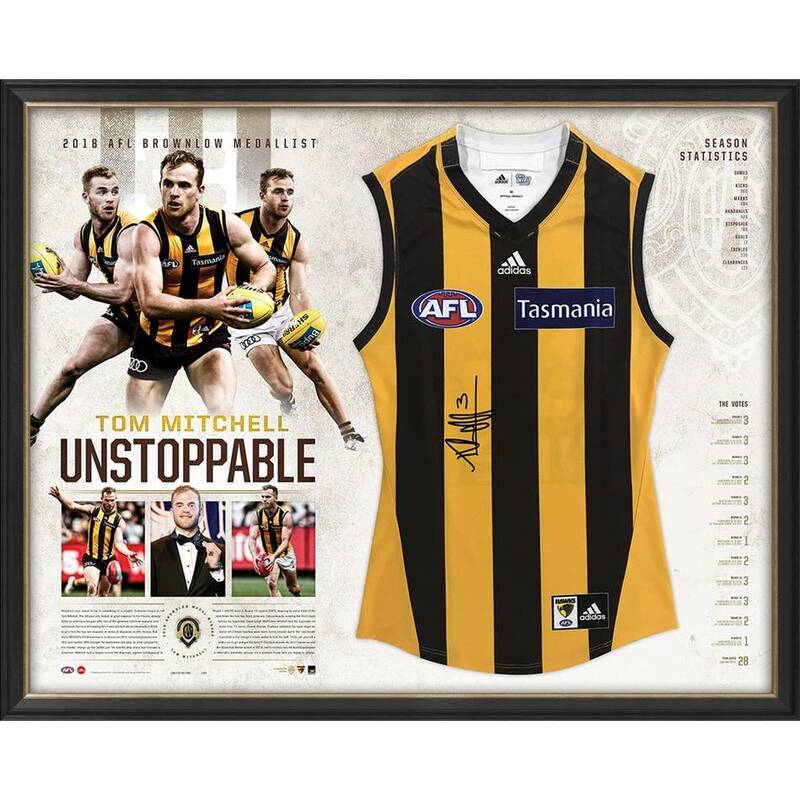 Congratulations to Hawthorn superstar Tom Mitchell on a stellar 2018 season, capped off by winning his first Brownlow Medal. The prolific ball winner started off the year with a bang, setting an AFL record with a league-record 54 disposals. His dominant form continued throughout 2018, leading the Hawks to a surprise top-four finish. His incredible ability to get from contest to contest and consistently win contested ball has been widely lauded by fans, teammates and opposition alike – a Brownlow Medal is a more than fitting way to acknowledge Mitchell’s peerless 2018 season.